The beginning of the story contains powerful sentences. The words are strong enough to create a whole scene. Thank you so much! I didn’t want to come over with “too much” but also didn’t want to come off with “too little.” Hopefully, I accomplished that. In my humble opinion your strength of writing lies in the use of strong and powerful sentences. I like reading such sentences. May God give you more strength in your writing! Wow! Very powerful and vivid images. I could picture everything that was written. Thank you Francesca! That makes me so happy! I love your first paragraph. Your description of that besieged city is really good and includes some well chosen words. 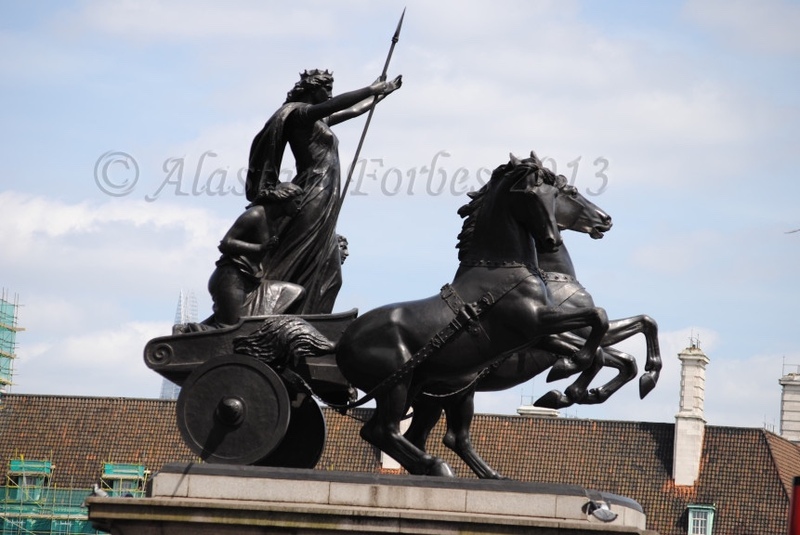 You have followed it beautifully with the story of the rescued child who grew to become a warrior (the fearsome Boudica?) who took her revenge on the Romans responsible for her mother’s death. Well written PJ. That is wonderful! Third book? Fabulous!! Millie, what are the names of your books? The two books are part of a trilogy and are both on Amazon. The first is called ‘Shadow of the Raven’ and Book 2 is ‘Pit of Vipers’. Book 2 has only recently been published. They are historical fiction, set in the time of Alfred the Great and the Viking invasions of the Anglo Saxon kingdoms. Thank you for asking, PJ. I really need to get out there and actively promote them – something I’m quite hopeless at! Thank you Millie for letting me know!! The images of the conquest… searing. A mother’s love… twice. Nicely done. Thank you Roger. Hopefully, I didn’t overdo it. Is that the name of the movie, “300?” I have never seen it. I’ve never even heard of it but it sounds interesting. No, I can’t do blood and guts. LOL! I would have to cover my eyes and my ears! haha! Ady, that is sooo sweet! But I am a long way from publishing anything. I am trying to improve in my writing so one day I can write a book. However, that is a long way away. Oh this was fabulous, Joy! Such a descriptive opening scene…and then the saving of the baby avenger daughter. I really enjoyed this one. Thank you Ellespeth! I hoped I didn’t “over do” it. Thanks!